The Full Page Magnifier uses a rigid lens which prevents image warping around the edges of the lens. It allows larges areas to be viewed than traditional magnifiers. 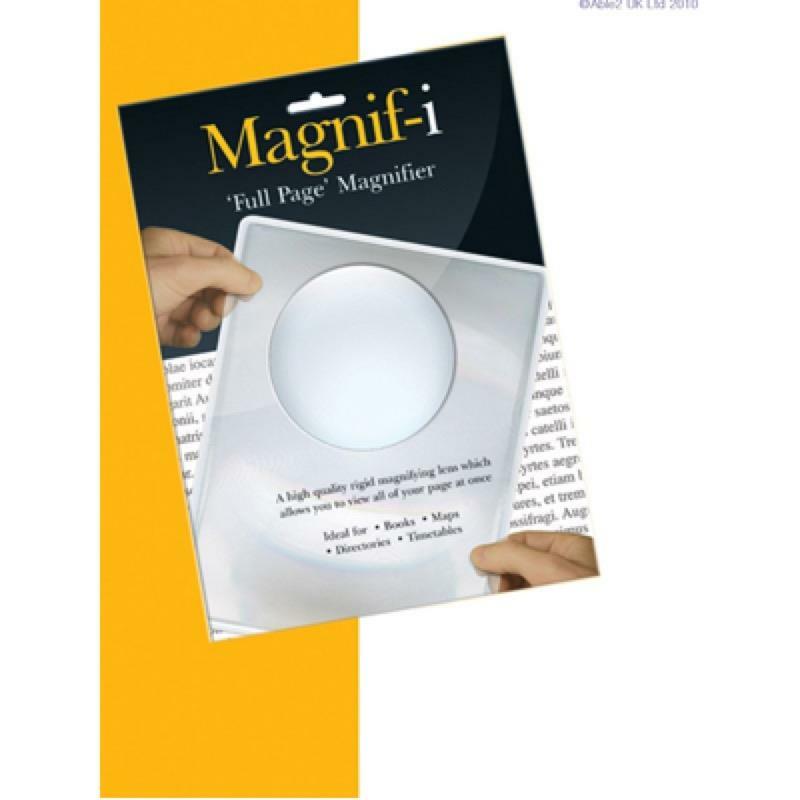 The Full Page Magnifier uses a rigid lens which prevents image warping around the edges of the lens. It allows larges areas to be viewed than traditional magnifiers. It is manufactured to a far higher standard than most similar magnifiers. Sold in a protective, printed card sleeve.